This was the adventure of a lifetime! 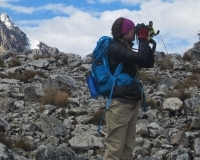 I loved every moment of the 5 days I spent trekking with my amazing group and guides. This was an amazing, once in a life experience!! 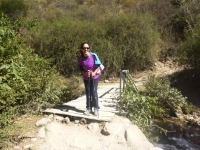 We had a wonderful trek, and couldn't have asked for anything more! . a positive spirit is all that you need! From the first moment, our tour guide Manuel told us that the team spirit would be 'keep positive'!. 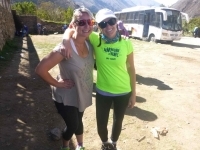 Aside from the fact that I was identified as a female on my inca trail pass, this trip was a once in a lifetime opportunity. This trip exceeded all expectations. The trail guides really knew their stuff and made us all comfortable. They kept us safe and prepared us for the day ahead. 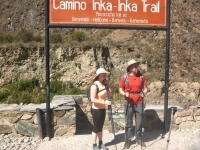 At the start of the trail I was a bit anxious, was I able to really complete the Inca trail?. I never did a trek of 4 days. 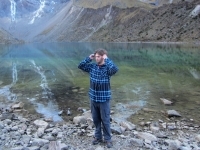 Do not get it twisted; the Inka Trail is hard. 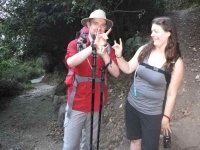 We had both novice and pro backpackers in our group and it was hard for us all. 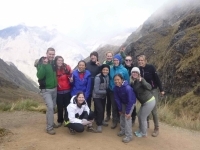 But all the fun comes because of our guides, porters and cooks. 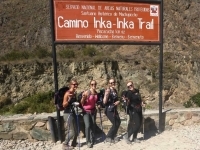 The four day / three night hike with Inca Trail Reservations was one of the best experiences I have ever had. This trip was my first major trip out of the USA and it was a blast! It all started out with the girls in the office, Fanny and Mabel, answering all the questions my group and I had. 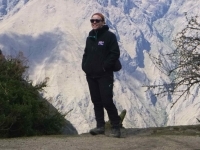 At first I was really scared to do the inca trail because I had a pretty tough time during the colca canyon trail. Amazing but difficult trail to conquer. I could not have done it without our wonderful guides, chef and porters. The adventure with Manny and Marco was really good! We had a very good group of people with a lot of diversity. Want ik heb drank en drugs. Both Manny and Marco made the group a real family!. The warm chocolate when waking up in the mornings and dancing and solving riddles in the evenings over the amazing meals (with pie on the last day!!) 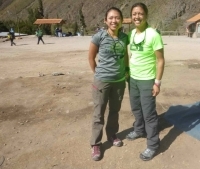 made the whole trail an unforgettable and amazing experience!. it was awesome. 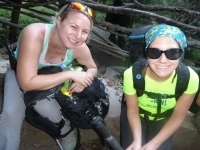 I hurt my leg 2 weeks before my trip and my guides and group were very supportive. 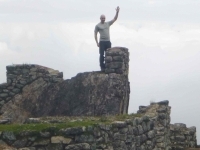 The Machu Picchu trail was a great time. 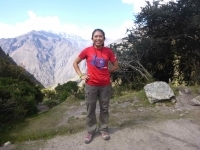 I loved every part of it.The guide, Juan Carlos , was very informative and knowlegeable about the Incan history.